Who says you can't wear white after Labor Day? 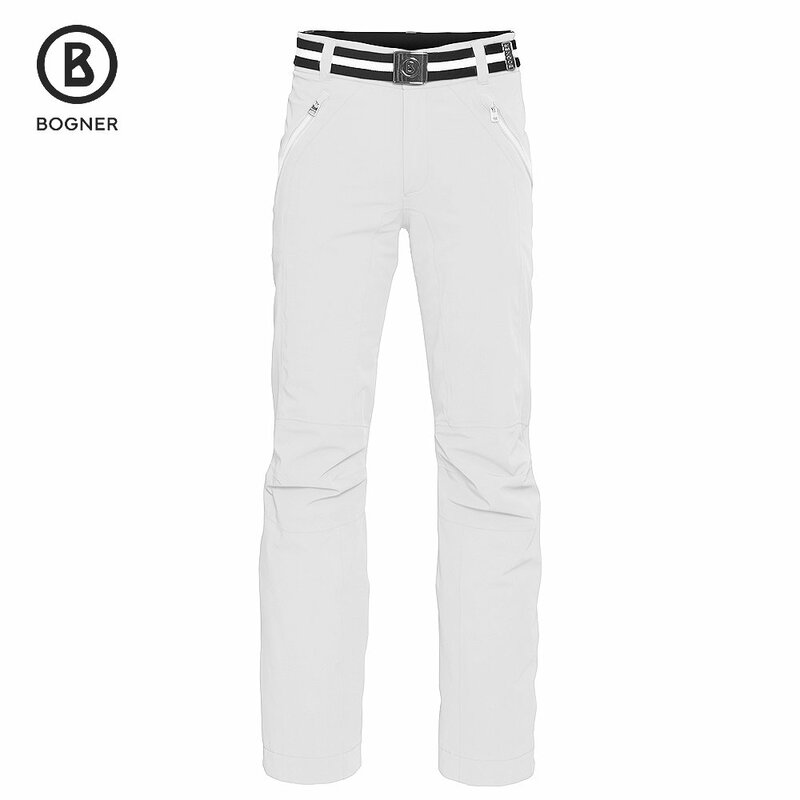 Bogner's snow-white Larson-T Ski Pant starts the ski season with plenty of style. It also enhances your personal style on the snow, providing better fit and movement from 4-way stretch fabric and ergonomic, articulated construction. That fabric puts up a 20K/20K waterproof-breathable wall, keeping you dry and comfortable. Snow gaiters, taped seams, and 80g insulation further protect against weather and cold.